Gushing water at shrines, enlivening the wooden beams and ceilings of temples, snaking across kimono silks. Their ubiquitous presence expresses the dynamic shift at the heart of any creative or spiritual endeavor. Unlike the dragons of Western lore, benevolent Asian dragons symbolize nature’s innate intelligence and regenerative resilience. Perceived as the bringer of welcome rains, the dragon is also associated with auspicious unfolding, personal power, and creative abundance. The pearl of wisdom clasped within the dragon’s claw offers seekers a key to inner knowing and contentment. Wingless, serpentine dragons traverse the clouds, untrammeled in their freedom, inspiring us likewise to transcend our limitations. 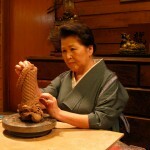 The above photos show my close friend here in Yamanashi, the potter, Tosetsu-san. 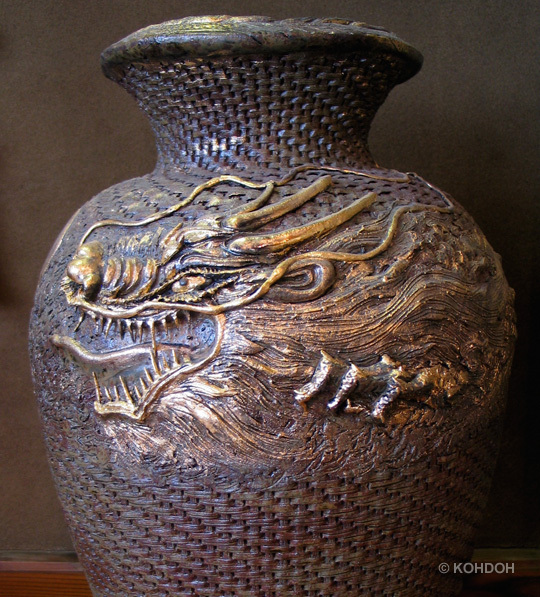 Thirty-five years ago the appearance of dragons in her dreams compelled her to commit her life to clay and giving form to dragon inspiration. 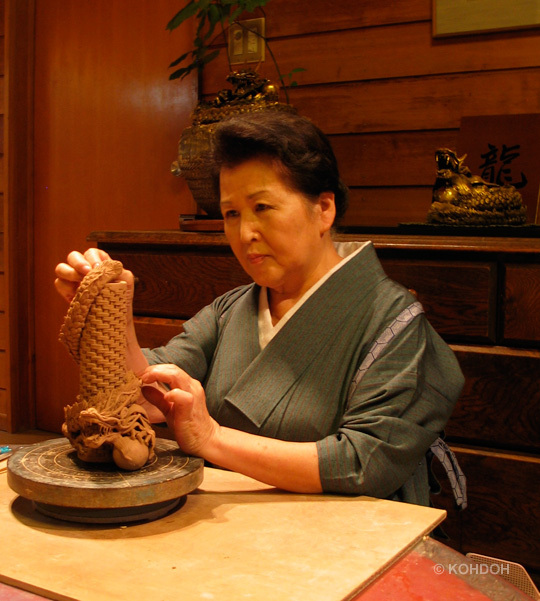 Today, at the foot of Mount Fuji, she still perfects her craft – an intricate pottery weave that has become her trademark, along with a dignity of dragons found in temples and private collections all over Japan (for information about her pieces contact info@energydoorways.com). 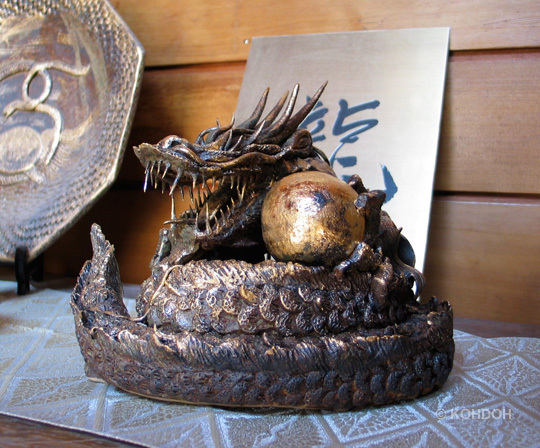 Tosetsu-san and her dragons embody proof of the enormous power you access when you tap your own courage and passion. 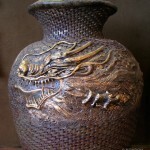 Showcasing this wonderful friend today on my Energy Doorways blog is a perfect celebration of the Year of the Dragon’s arrival in 2012. If dragons represent our deepest fears and desires, then freeing them begins the miracle of transformation. As your inner dragons stir in you today, are you brave enough to listen? Dragons are known to be fire breathing in many western myths. If fire erupts from one’s lungs or heart chakra, one can be said to be angry at the world where one is constantly defending themselves and lashing out at what is perceived to be wrong or unjust. Therefore, a flying dragon in the west is presented in a negative spin. However, in the east…. 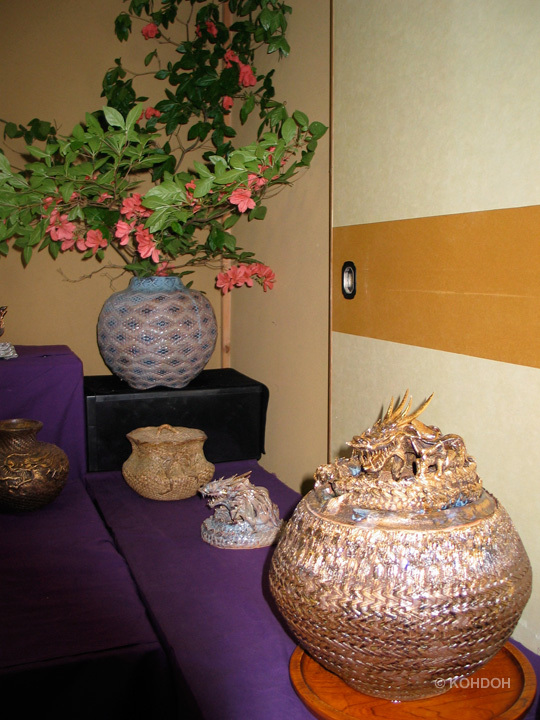 the flying dragon is displayed and honored in a positive way. It soars to its hearts content where the content of the heart is experienced and gifted to the world. One’s inner fire isn’t expressed and released outwardly. One’s inner fire or soul essence is cultivated inwardly where the worlds buttons no longer cause one to erupt. With one’s personal energy intact, one can use one’s inner power in creating a truly magical kingdom where all dreams do indeed come true. Bernie, what a gift your words are this morning. Thank you so much again. Would that you and I, every one of us, do this, too – soar true to our deepest core so that the treasures at that core radiate out into the world as a genuine gift. 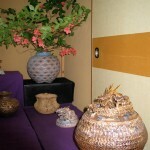 I will share your wonderful words with my friend and potter, Tosetsu-san. I know that what you express here today deeply resonates with her. Soaring thanks to you from Yamanashi. Catrien at the foot of Mount Fuji. Love dragons. 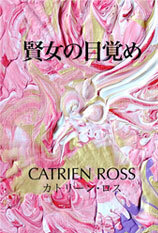 I trust messages conveyed through dreams and feel the intensity in Tosetsu-san’s life-like creations. Also appreciate the other comments here. In China, ‘chi’ is positive, life-giving energy. The channels it runs along are called ‘dragon-lines.’ They follow underground water and underground magnetic fields. It is said they balance/ merge water, air, fire, & earth. Another perspective is dragons are one form we experience as part of our soulful evolution. Like the mythical dragon, we each guard our own inner treasures and initially stand in the way of our own awakening to self acceptance. As the true source of timeless wisdom and magical strength grows clearer, we are each our own hero. As we outgrow fear and transcend self-created myths about who we are, we tame rather than slay the dragon. We favor compassion, allowing all parts of self to align and embrace oneness. Thank you so much for joining this dignity of dragons here today. Your words offer such encouragement as we travel our individual mythic path. For your love and understanding of dragons and the power of dreams, thank you, Liara. From the dragon line radiating from Mount Fuji in Yamanashi – Catrien.